Great leadership is vital to the success of an organization. At the executive level, the right talent in the right role can be the difference between a tough year and an exceptional one. The stakes that rest on an executive leadership decision can’t be understated. Nor can the value of getting it right the first time. At Optimum Talent, our team of reputable executive search professionals have successfully placed thousands of leaders across Canada into roles that created value for both the organization and the leader. Our origins began 24 years ago as a firm called Conroy Ross Partners. Based in Western Canada, the firm provided executive search and recruitment services to public and private organizations across all industries. Over the years, Conroy Ross Partners grew nationally, and in 2017 it merged with Optimum Talent — one of Canada’s largest integrated talent management firms. Under this new banner we continue to provide a boutique search experience, but now offer the added benefit of in-house leadership coaching and development expertise to support our clients. 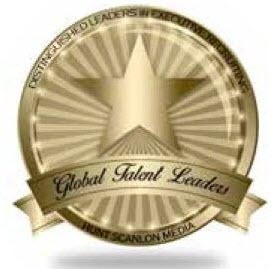 Optimum Talent is recognized as a Distinguished Leader in Executive Recruitment by Hunt Scanlon’s Industry Media Center. The Industry Media Center is an online resource designed to aid CHRO’s and Talent Recruitment Professionals in identifying executive search and recruitment firms that operate with the highest standard of professionalism and commitment to client excellence. Support you through the on-boarding process to ensure a successful outcome for your organization and the new leader. Define: We work with internal and external client stakeholders to develop an accurate and shared understanding of the role, establish timelines, and develop a clear communication plan. Next, we create a formal search profile to attract the right candidates. Attract: After creating a customized sourcing strategy, we perform extensive market research to identify networks and sources of promising candidates. From that process we gain and share market intel and perception of the role and organization. Assess: Once a benchmark list is developed, we evaluate qualified candidates to ensure that they meet the requirements of the position. We then conduct interviews with high potential candidates with a focus on competencies and cultural fit — narrowing the pool and creating a shortlist for the client. Select: It is time for the client to meet and choose the right candidate. We assist our clients in conducting thorough interviews, selecting the final candidate and presenting an offer. Client’s are provided with 360-degree reference interviews and background checks. Integrate: After the search is complete, we provide continued support to both the client and candidate by conducting regular follow-ups and offering leadership, assessment and development support when applicable. “The team at Optimum Talent is approachable, professional and high-touch. From the onset of the process, they made me feel very welcome and truly took the time to get to know myself, the organization, and the role, while also giving me the opportunity to personally meet everyone who would be delivering on the engagement. They are transparent and clear about both their objectives and timelines, and thoughtful in their approach throughout the entire search process. We Listen. Your successful candidate needs the right qualifications, but also must fit with your team and culture. That’s why we start every executive search engagement by listening. We take the time to understand your needs. We Research. Because we believe every client and engagement is unique, we research each role and industry to identify where your successful candidate might be. We don’t just bring you an available candidate, you can do that yourself. We bring you the best candidate. We Communicate. From the very beginning, you’ll know where we are on your engagement because we’ll regularly update you on our progress. We’ll provide you with all the market feedback and intelligence we gather along the way. We’re transparent about our approach. We Respect Your Brand. We know how hard you’ve worked to build your reputation and how hard we’ve worked to build our own. You can trust us to treat every candidate with respect. We can be trusted to act with integrity.